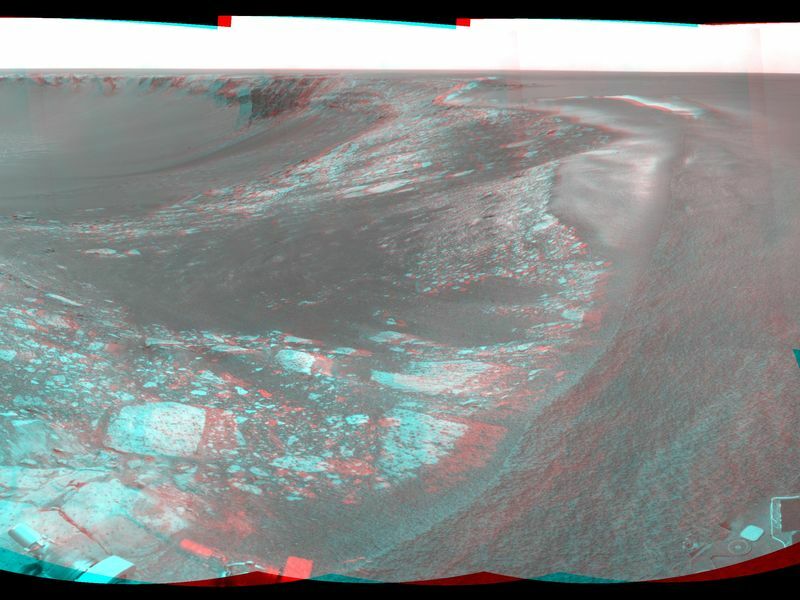 NASA's Mars Exploration Rover Opportunity used its navigation camera during the rover's 1,278th Martian day, or sol, (Aug. 28, 2007) to take the images combined into this stereo view. 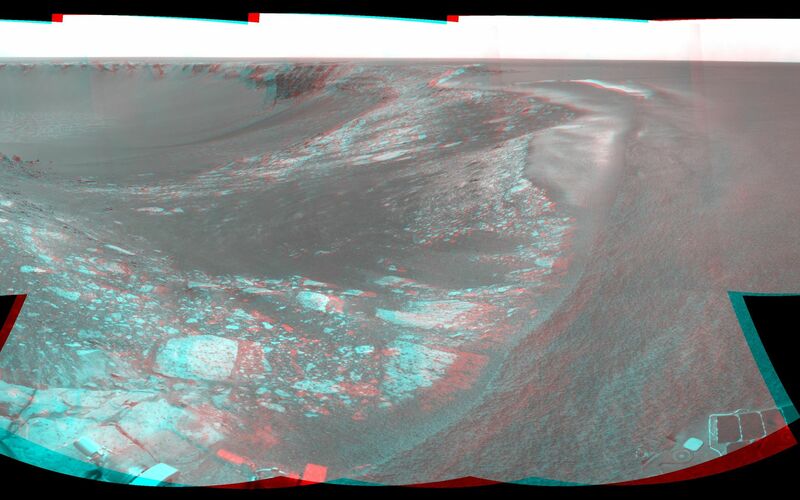 The rover was perched at the lip of Victoria Crater, which is about 800 meters (one-half mile) in diameter. After assessment of possible routes for Opportunity to descend into the crater, the rover team selected a site farther to the right along the rim. That selected entry point lies near the ripple of bright soil visible just outside the crater near the top center of this scene. The driving distance for Opportunity from the Sol 1,278 viewpoint to the selected entry point is about 40 meters (about 130 feet). This view combines a stereo pair and appears three-dimensional when seen through blue-red glasses. It is presented as a cylindrical-perspective projection with geometric seam correction.